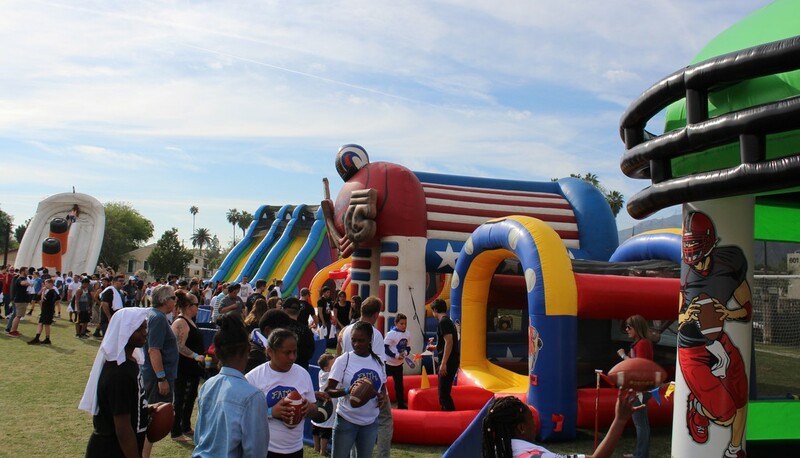 Sports Inflatables - Interact Event Productions - Corporate Event Planning at Wholesale Prices! Hey there sports fans! 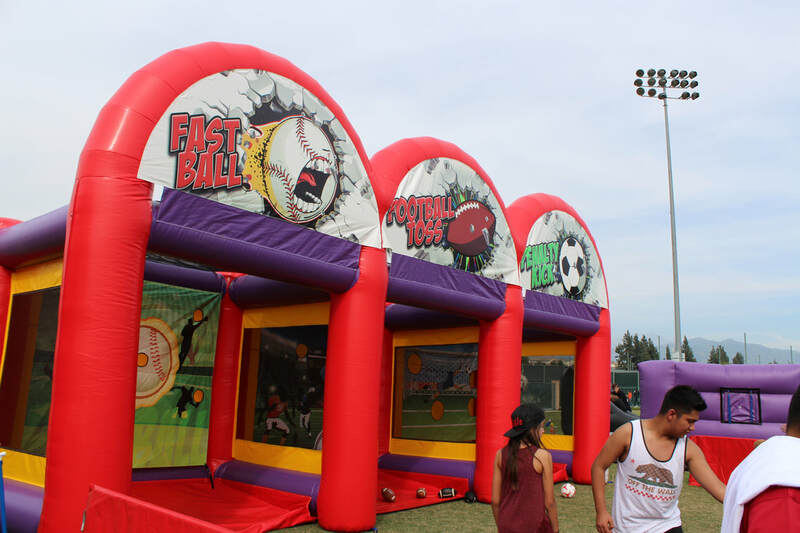 We have tons of sports themed inflatables and attractions that will go great with your Little League Events, Softball Parties, Team Fundraisers, Company Picnics, Community Outreaches and anything else you can dream up! 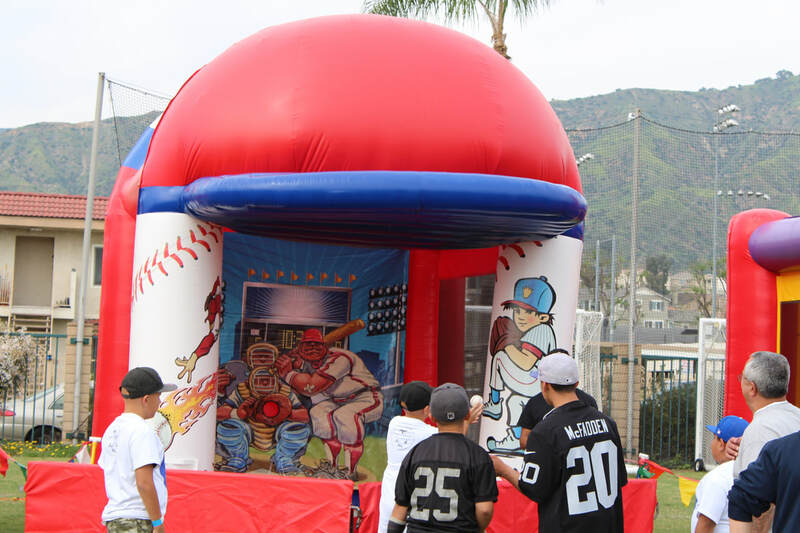 We have baseball themed inflatables that we include in our sports themed packages. 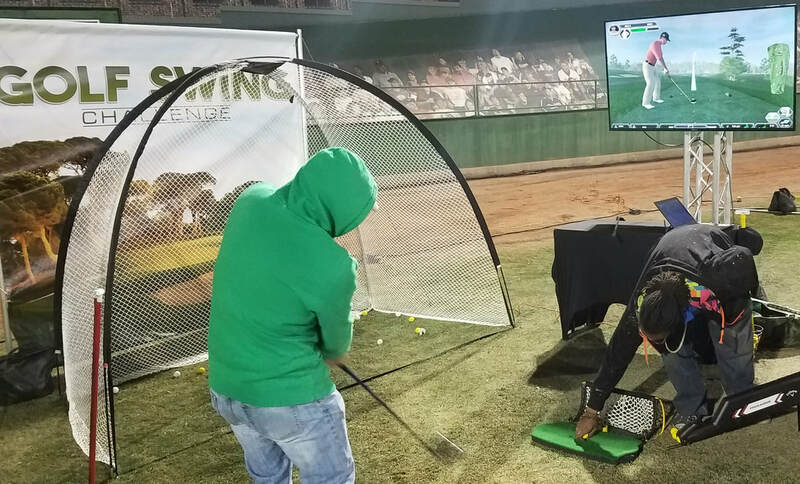 We have the Home Run Derby, Fast Pitch Baseball and a popular favorite is our 3-in-1 sports arena that features fast pitch as well as football and soccer. Are you ready for some football? 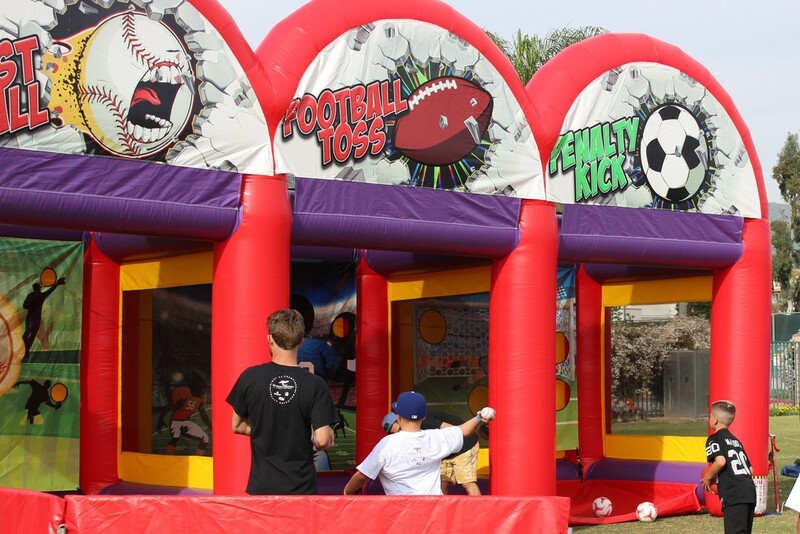 These are some of our awesome football themed sports inflatables! 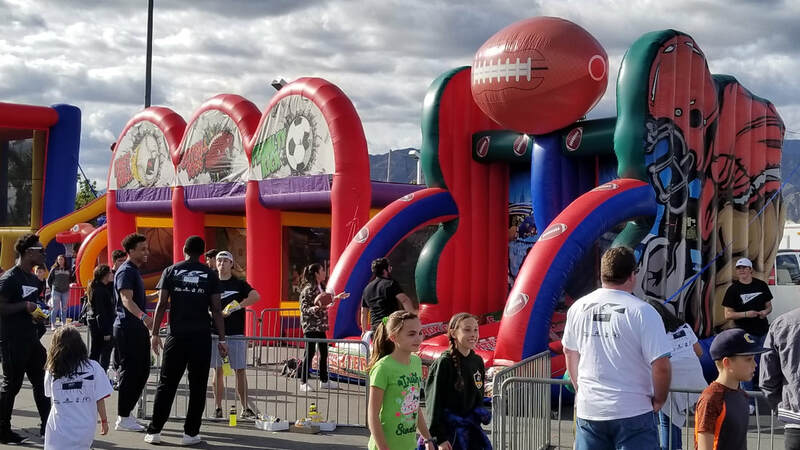 Our Basketball Shootout is a good dual player game and our multi-sports arena also features a basketball court which is great for youth and adult events. 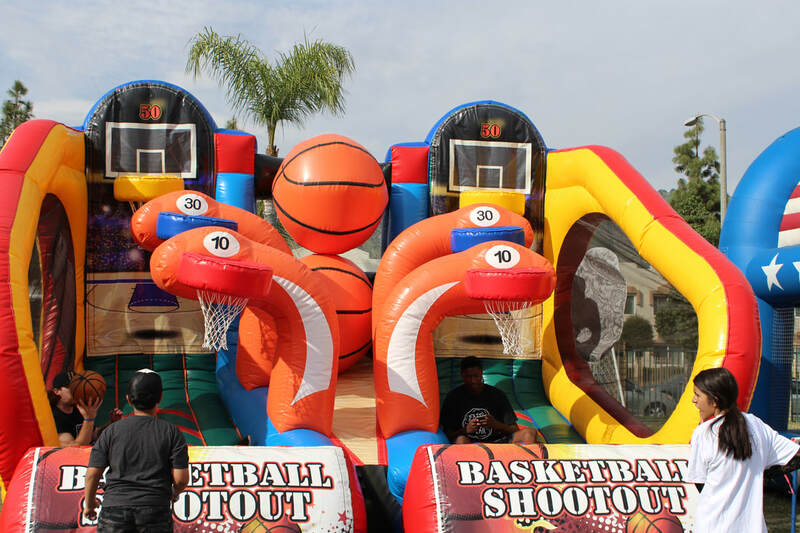 Basketball is just one of the sports we offer, we can customize you a package with all of them! 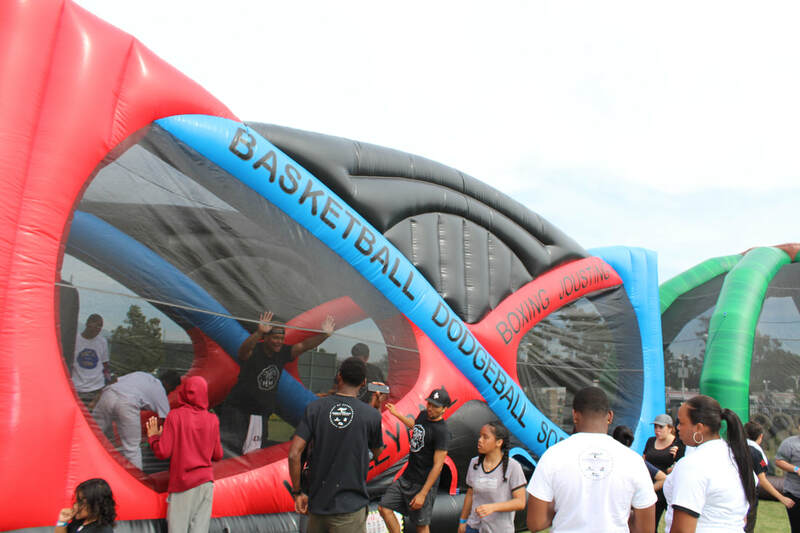 This Sports Arena Features Basketball, Dodgeball, Boxing or Jousting! 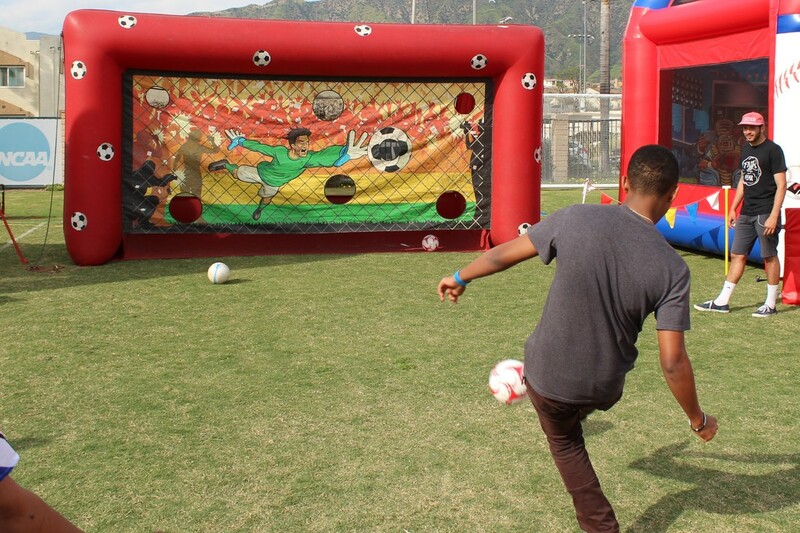 Soccer is the most popular sport in the world, it's also a popular sport at picnics and parties - that's why we have these soccer inflatables. 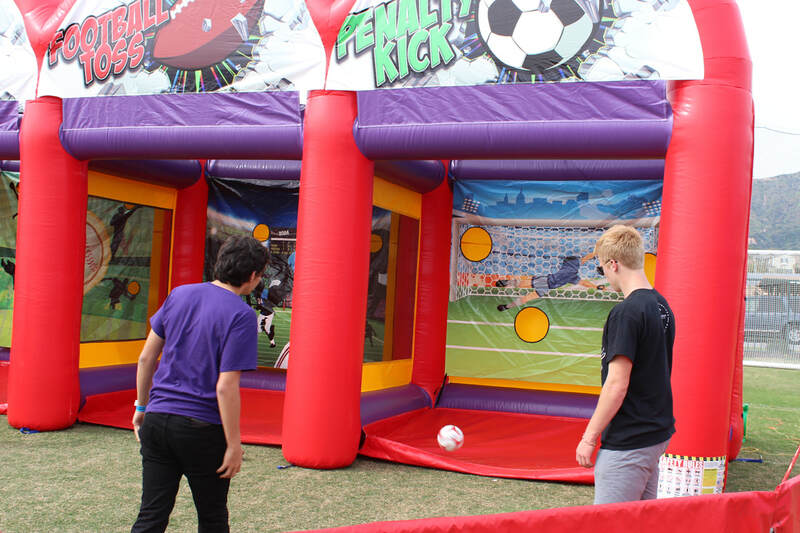 This Penalty Kick Challenge is attached to a 3-part sports themed inflatable. 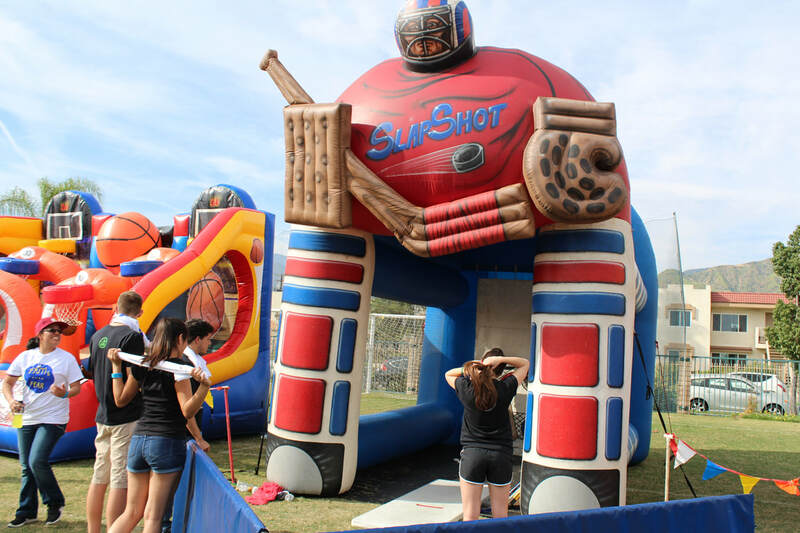 Participants will enjoy shooting the puck like Gretzky with our Hockey Slap Shot inflatable game. 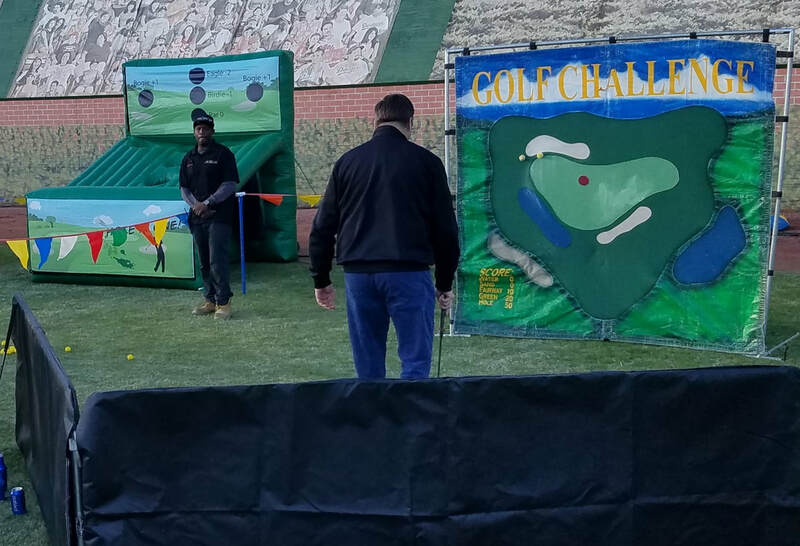 Let Us Create You An Event Package! 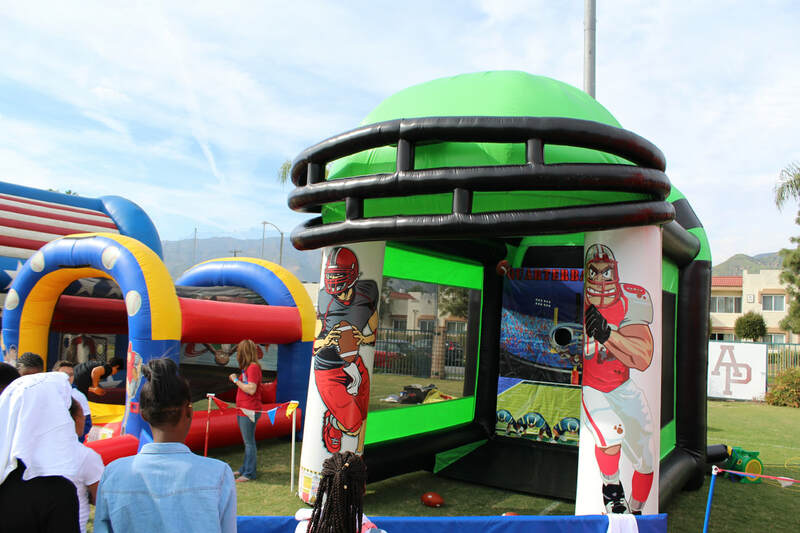 We can customize and event package for you that includes all our best sports inflatables as well some slides, obstacle courses and other exciting attractions that your guests will love. We can give you a great price and offer you discounts others cannot - call us at 888-788-1233! 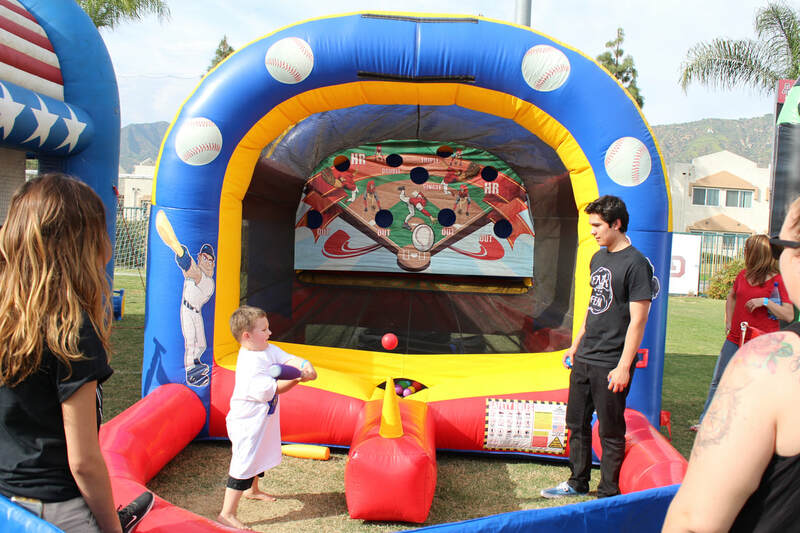 *Co-op savings are an inexpensive way to cut the costs of your event. 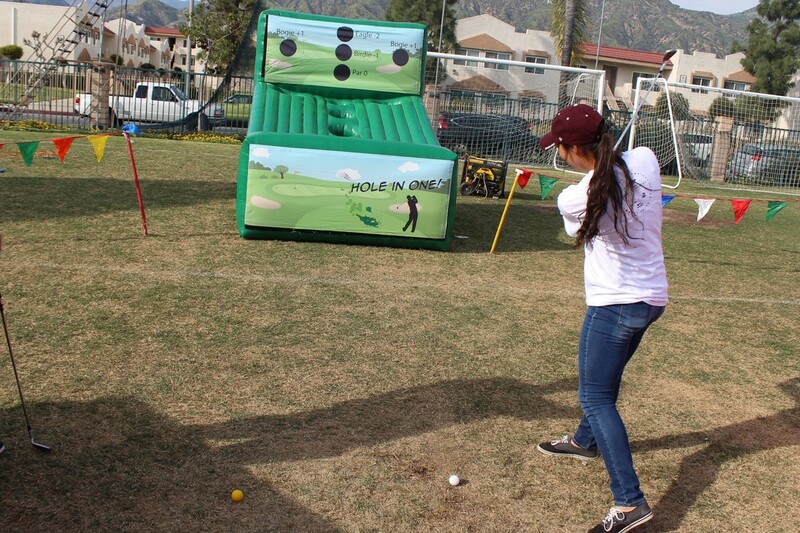 ​By providing 2 volunteers per attraction you can take of advantage of these huge savings! 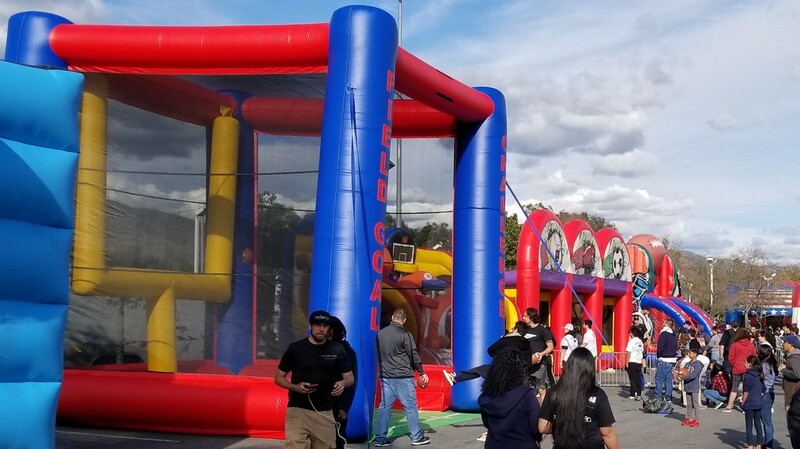 Looking for more inflatables? We have More!